Finds that diversity is still a major issue for the majority of Boards and makes recommendations to address this while recognising that there is no quick fix. 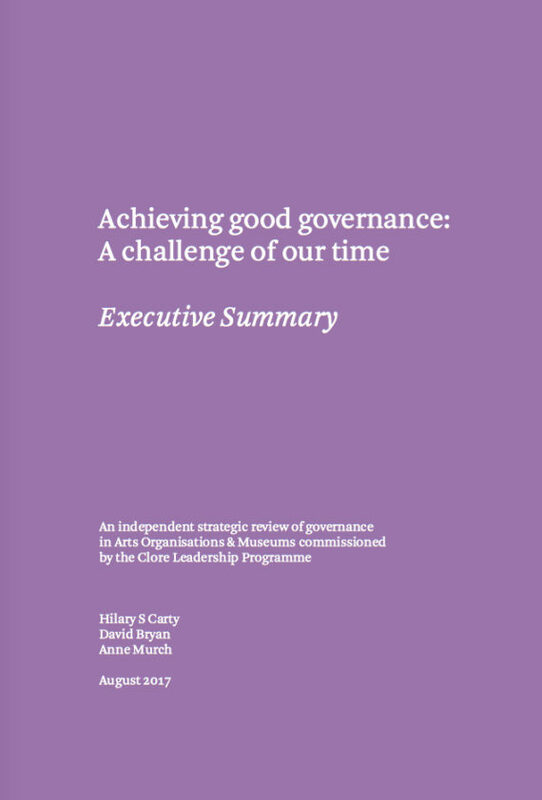 Also finds that Boards are often solely concerned with their fiduciary obligations and recommends more engagement with the artistic mission of their organisations. Recommends the formation of a “Governance Alliance” with associated resources to strengthen and develop governance across the sector.